Nagapattinam District is a sea-shore district of Tamil Nadu state in southern India. The town of Nagapattinam is the district headquarters. According to Indian Census 2011, the district had a population of 16, 16,450 with a gender-ratio of 1,025 females for every 1,000 males. 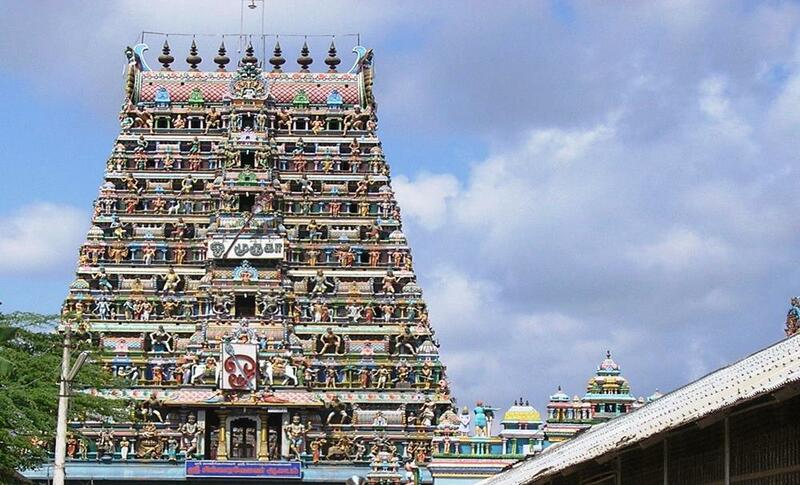 A beautiful Murugan Temple dedicated to Lord Singaravelan is housed in a large complex. The pillars of this temple are adorned with intricate and exquisite carvings. The beautiful paintings of a bygone era are amazing in colour and portrayal. Beside this temple has the shrine of Siva, Vishnu and Hanuman. It is a rare combination, indeed. 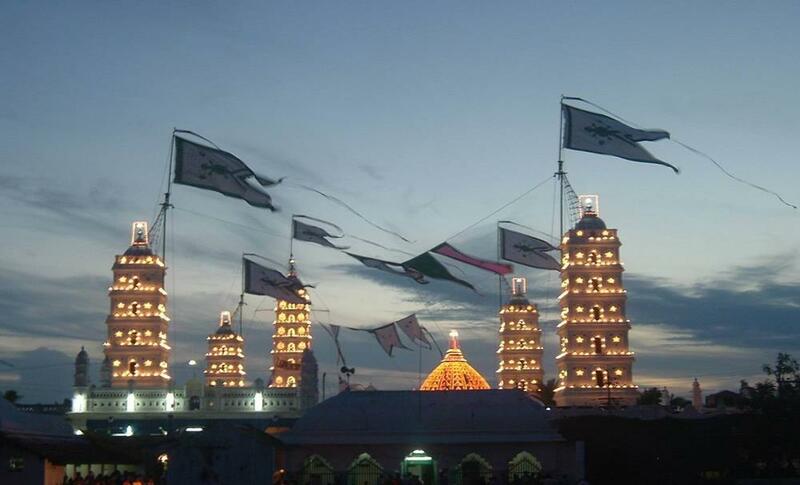 Worship in this temple removes all the hurdles of the devotees, it is believed. This city is 14Kms east of Sirkali. It is popular for its fine beach, which is full of natural beauty. This town has an ancient temple. 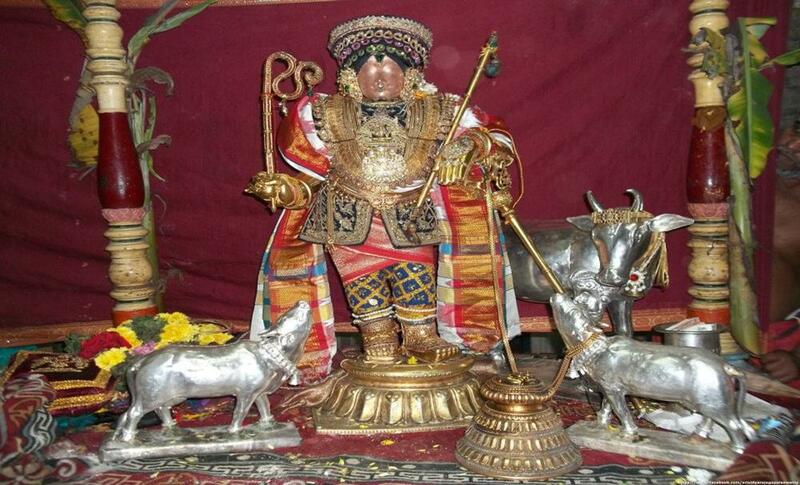 The presiding deity of this temple is Arulmigu Mullaivananathar. This temple is glorified in these divine songs. Located 3kms from Poompuhar, Keelaperumpallam receives a stream of devotees every day for worshipping Shri Naganatha Swami. This temple is the seat of the Ninth Navagraha, the Kedhu. Thiruvengadu is located 8 kms. From Poompuhar. Another Navagraha Budhan is located inside the Temple of Arulmigu Swetharanya Swami. Devotees from all over India and abroad come to worship Budhan every day. This temple is glorified in the divine songs. 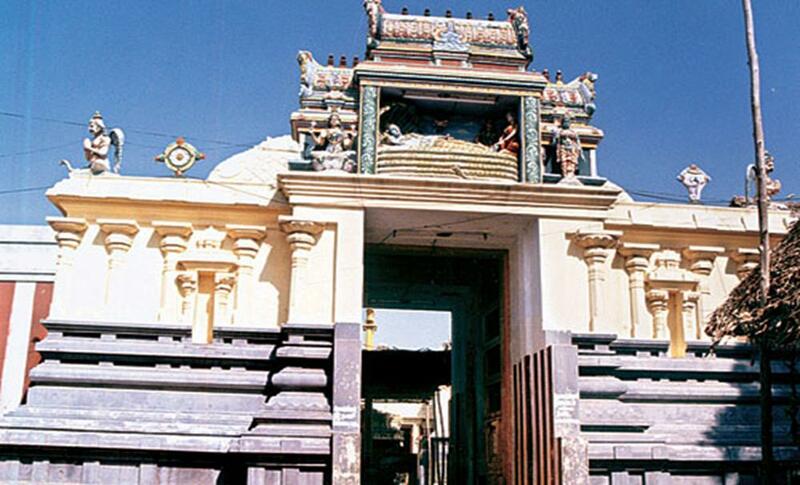 In the divine songs of Devaram, Vaitheeswarankoil is called Pullirukkuvellur. 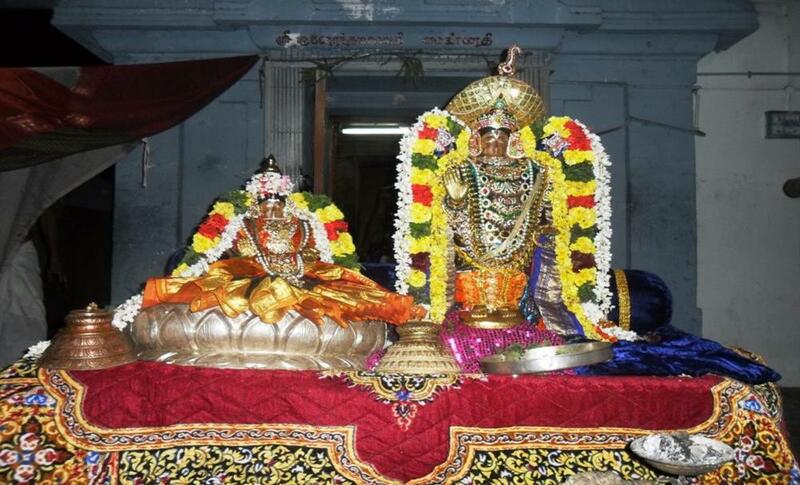 The Presiding deity Lord Vaithiyanathan and the Devi is Thaiyalnayagi. 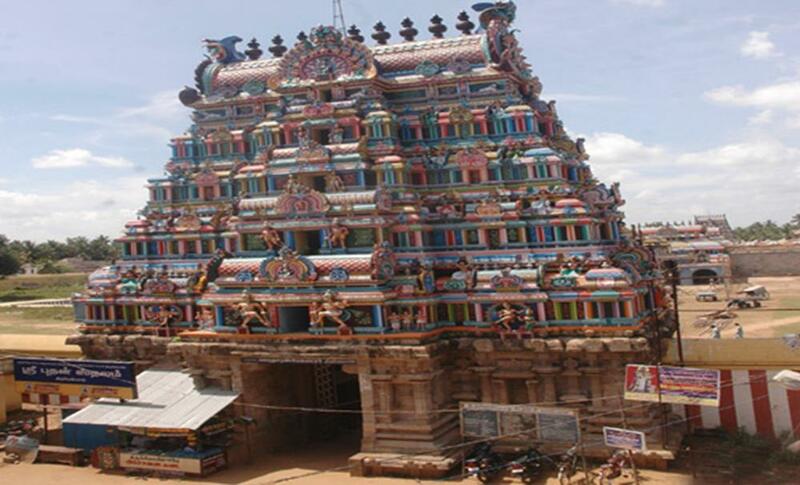 Lord Muruga is called here as Arulmigu Muthukumaraswami. 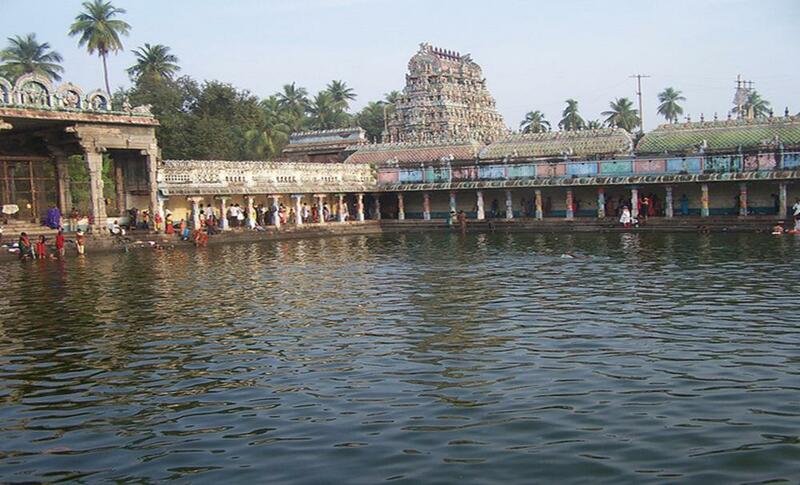 Vaitheeswarankoil is located 12kms from Mayiladuthurai and 5kms from Sirkali. 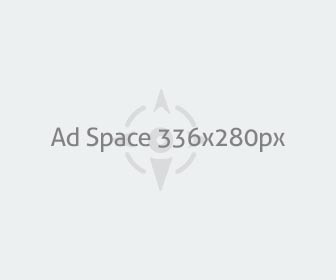 This temple is the seat of another Navagraha, the Mars. 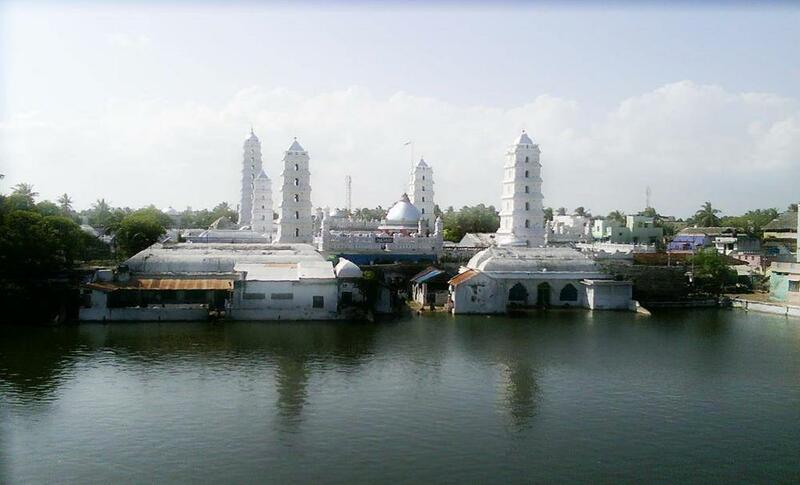 The Dargha in Nagore near Nagapattinam, the district headquarters is a holy place. Not only the followers of Islam but also of all faiths visit this sacred centre throughout the year to offer their prayers and get the blessings of the saint. Nearly five hundred years ago a son was born in a devout Muslim family in a village in the central provinces [Madhys pradesh], He was named Abdul kadhar. With lust for the grace of Allah, he wandered with his followers far and wide. He came to Tamil Nadu after visiting different places like Keelakkarai and preaching the doctrine of love, service devotion to the almighty he settled down in Nagore in a piece of land granted by a devotee of this saintly preacher. His words and deeds were divine and prophetic. He said 'Islam preaches the fatherhood of God and brotherhood of Man'. He sent his disciples to work among the people and spread the message of Prophet Mohammed. He passed away in 1558 at the age of 68 and in Nagore dargha are the relics of this God-man. Khandoori festival is the anniversary celebrations and devotees from all over the world join the festivals to be blessed by Nagore Andavavar. 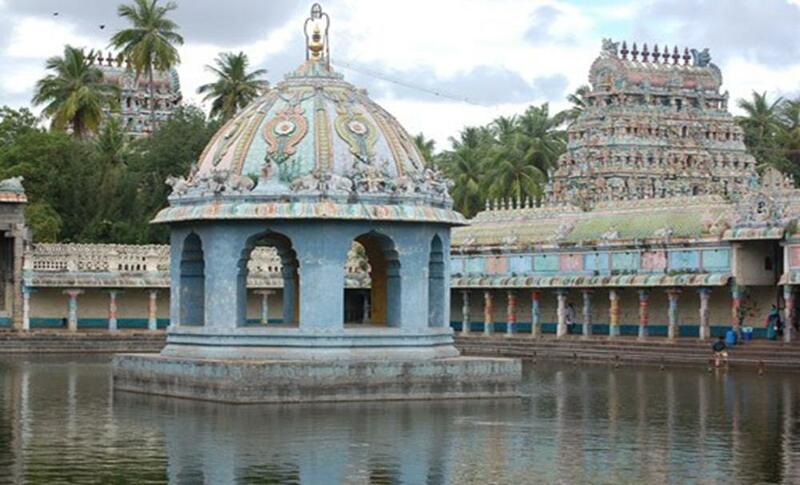 Located 10Kms from Sirkali, Thiru Nangore is one of the most sacred places of Vaishnava Temples. 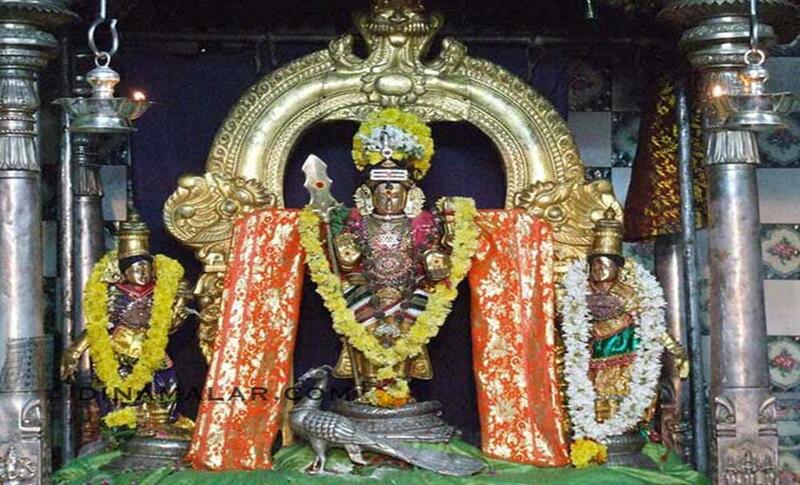 Shri Narayanaperumal Temple, Purushothama Perumal temple, Kudamadum Kootha Perumal Kovil, Semponnarangar kovil, Pallikondaperumal Kovil, Varadharaja Perumal Koil which had been performed Mangala Sananam by Thirumangai Azhwar are located in this small town. 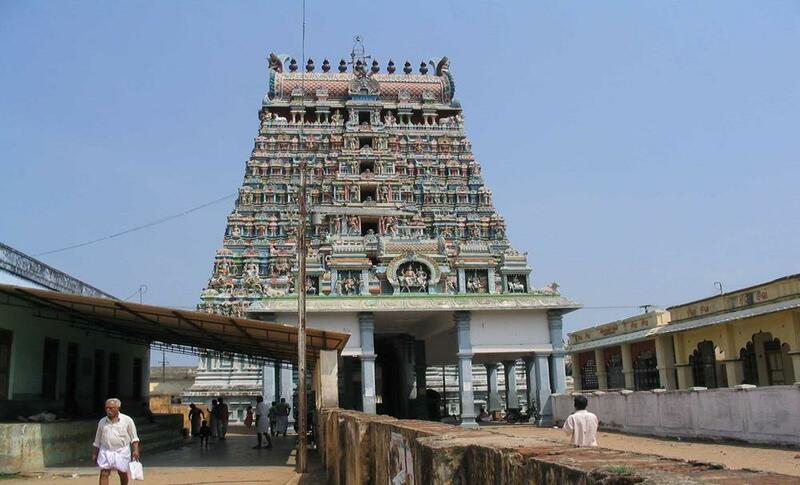 Around Thiru Nangore, there are other Vaishnava temples in Thiruvali, Thirunagiri, Keezhasalai and Perumal koil. 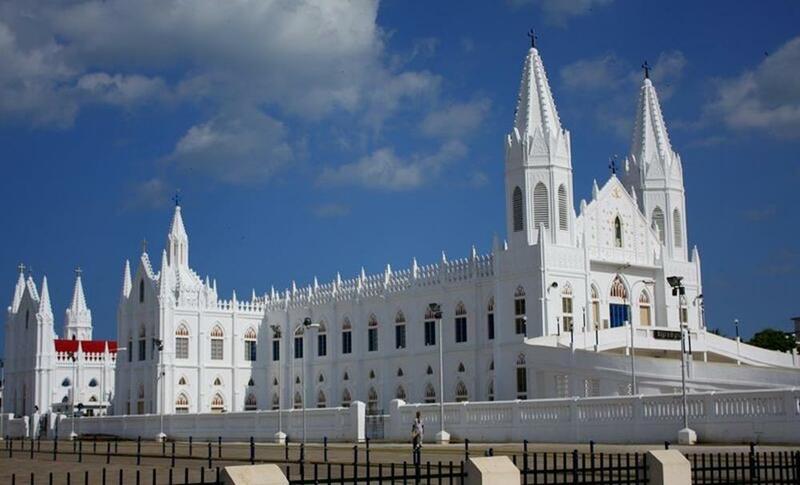 Velankanni is one of the most visited pilgrim centers in India. It is a town located on the shores of Bay of Bengal. This renowned shrine Basilica of our Lady of health draws pilgrims from all over the world. Not only Christians but also the people of other faiths come to this Church to pray at the shrine of our lady of health. 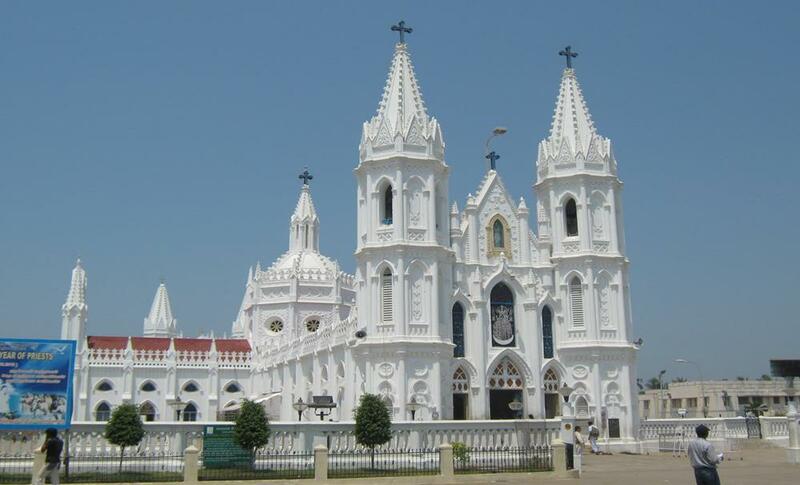 Knowing the importance of this town the Pope in the Vatican city has declared Velankanni as a Holy city. This Roman Catholic Church has an extended Basilica, which has two floors where one can find the statue of Jesus Christ. The Gothic style of architecture is a unique feature of the Church. The church itself is an imposing building with inspiring architecture. While the buildings have been painted white roof of the church is made by the tiles with striking red in contrast to the colour of the walls. The environment around the shrine is spick and span. Radiating rays of hope and piety. There is also a shrine of 'lady of sorrow ' where in the sorrowing Mother is depicted carrying infant Jesus in her hand. Thirukkadaiyur is on the bus route of Chidhambaram - Nagappattinam. It was in this temple Lord Siva had annihilated Yama, the God of death and destruction to save the life of Markandeya and bestowed immortality on him. It is one of the most important seats of Sakthi. 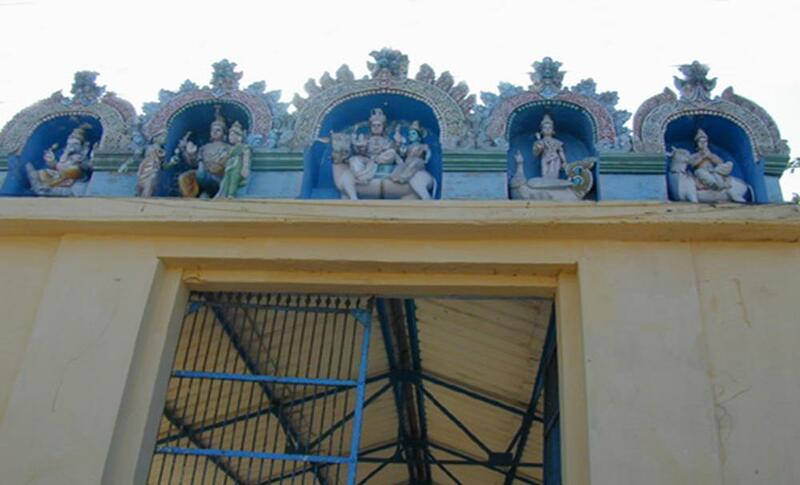 Inside the precincts of the temple of Arulmigu Amerthakadeswarar is located the temple of Shri Abirami Amman Temple. The great Saint Abirami Bhattar composed the divine songs of Abirami Anthathi. On attaining 60th year of age in conjugal life of the husband, the couple, belonging to the Hindu family, celebrates their Sasthti Abthapurthy ceremony here inside the temple. Sirkali is located on the main route between Mayiladuthurai and Chidhambaram. 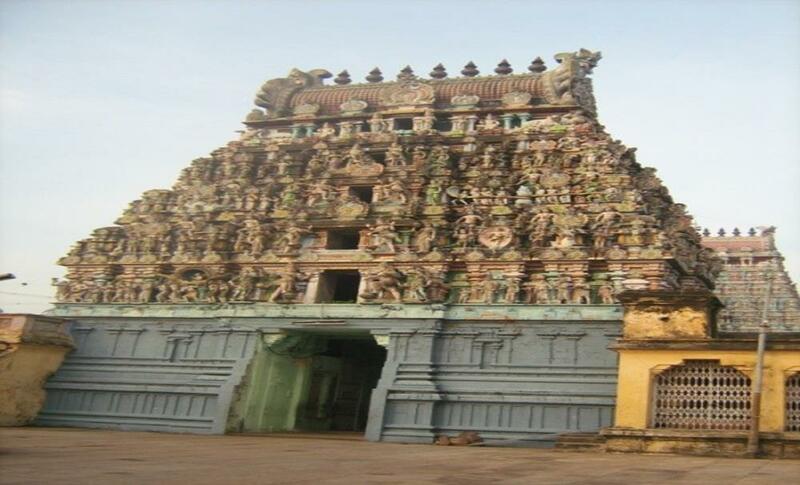 Shri Arulmigu Sattanatha Swami temple has many wonderful architectural and sculptural features. 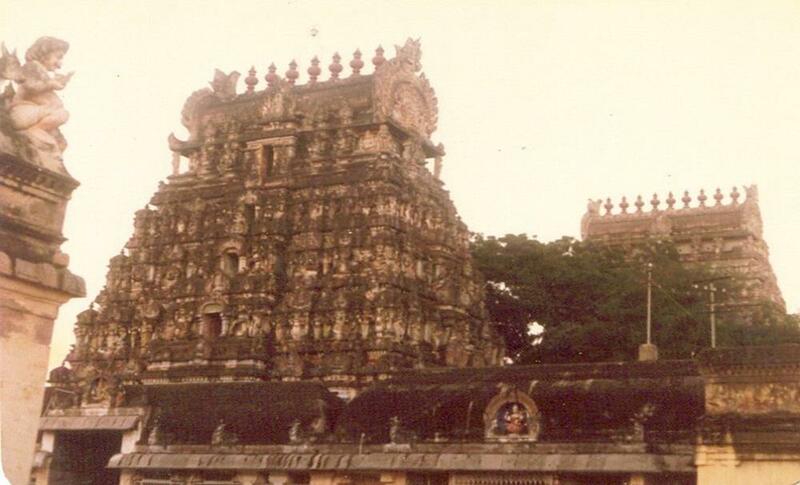 This temple has been glorified in the divine songs of Thevaram. One of the four great divine poet, the Saiva saint Thirugnana Sambandar was bestowed with the divine grace by Lord Siva and Parvathy here. Every year in the Tamil month of Chithirai, Thirumulaippal festival is celebrated in a grand manner. It is 35kms north of Nagapattnam on the east coastal line of Bay of Bengal. Danish Architexture is the attractions of Tranguebar. Bus facilities are available to this place from Nagapattinam, Mayiladuthurai, Poompuhar, Sirkali and Chidambaram. Built in 820 exists to exhibit Danish architecture. The fort is now under the control of TamilNadu Archeological Department, houses an archaeological Museum. This museum is open on all days expect Friday. 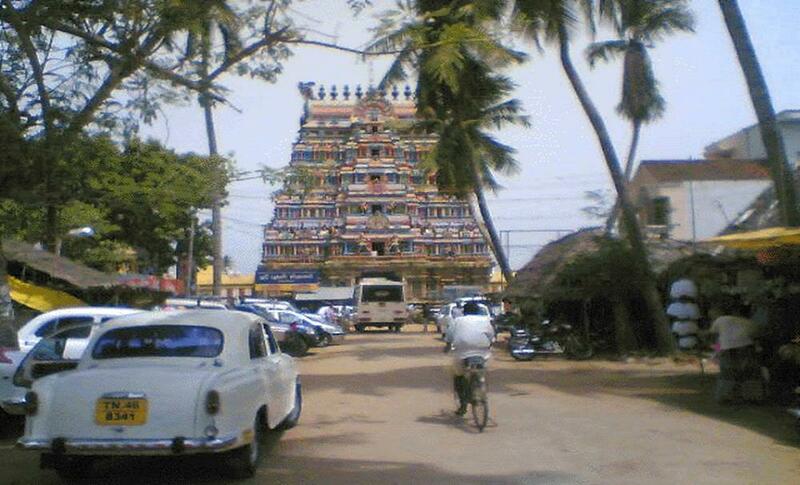 Arulmigu Mayuranathar Temple is located here. 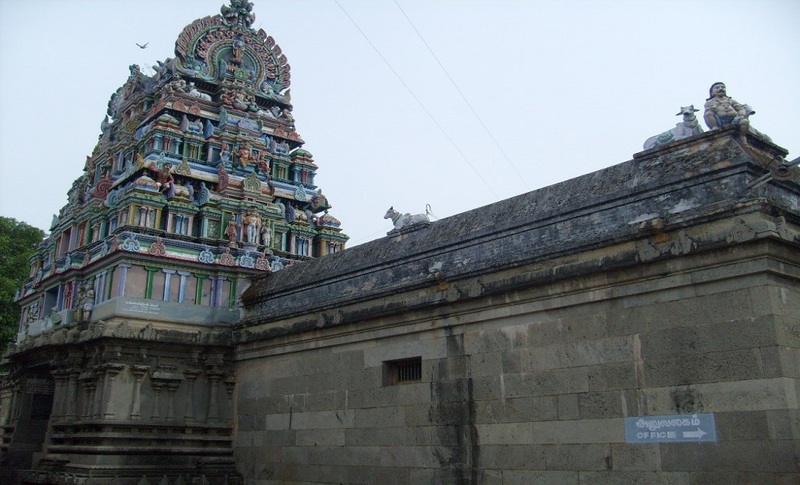 According to the Hindu mythology, Annai Parasakthi danced in the form of a peacock and hence the place is called Mayiladuthurai. Devotees after worshipping Mayuranathar can travel from here to all the places of Navagrahas and other important temples by bus. The festival of Holy bath known as Kadai Muzhukku in the river Cauvery is celebrated in the month of Ippasi. 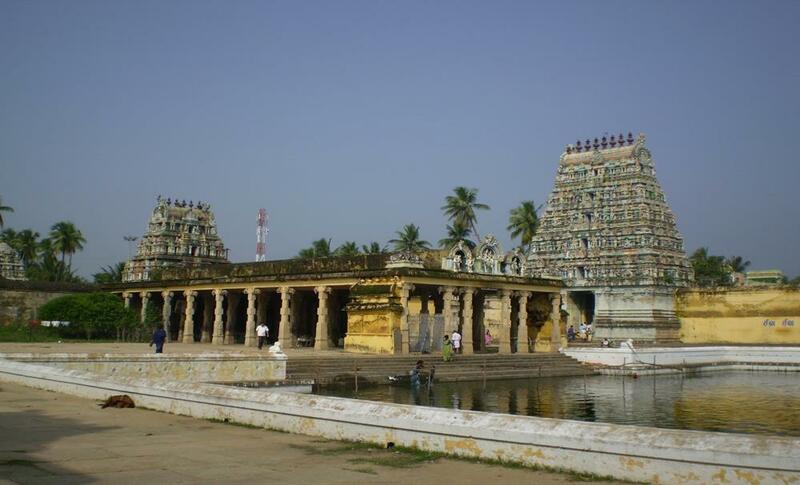 On the East coast between Nagappattinam and Chidhambaram, Ananthamangalam is located 5Kms from Thirukkadaiyur. 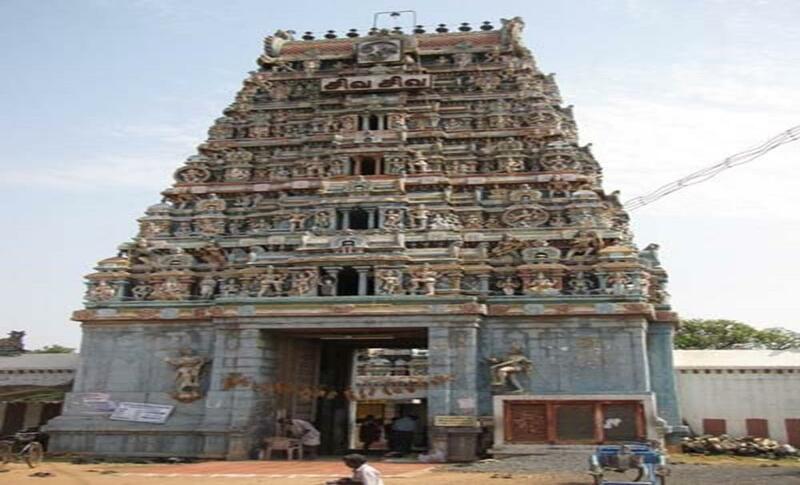 People from all over TamilNadu visit the temple of Lord Anjaneyar for His grace. The divine statue of Anjaneya here is unique with its three eyes and ten hands. 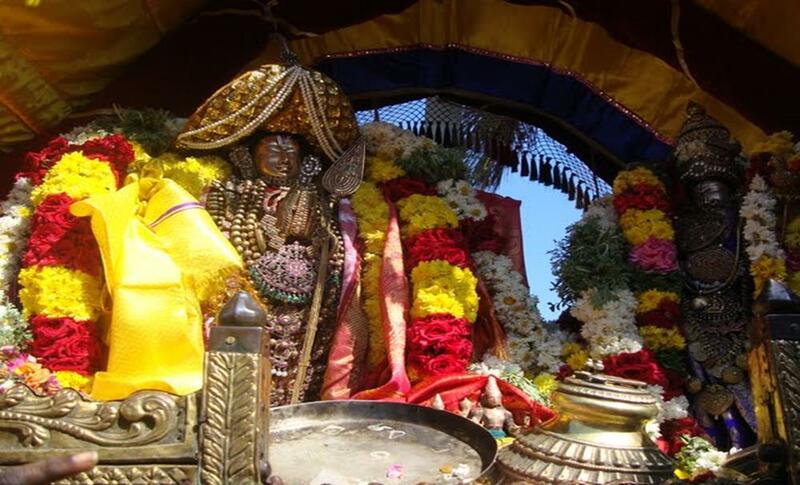 Special worship of Anjaneya is held on Saturdays and on the days of Amavasya. 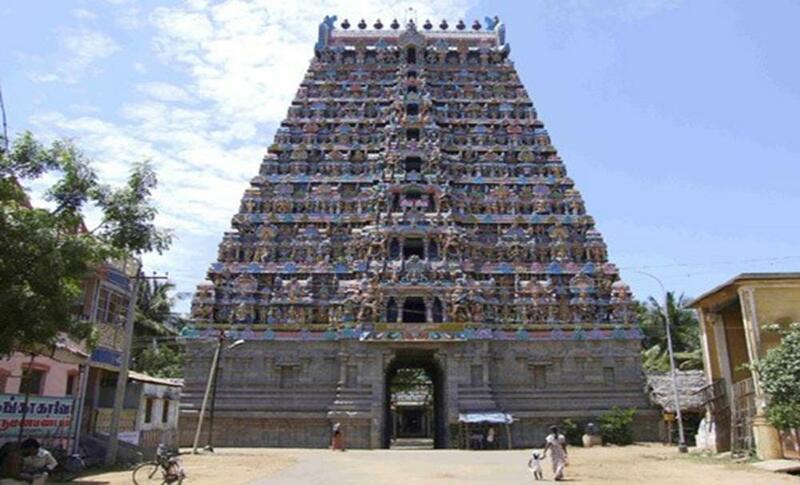 Ananthamangalam Rajagobal Swamy temple also very famous in Nagapattinam district.